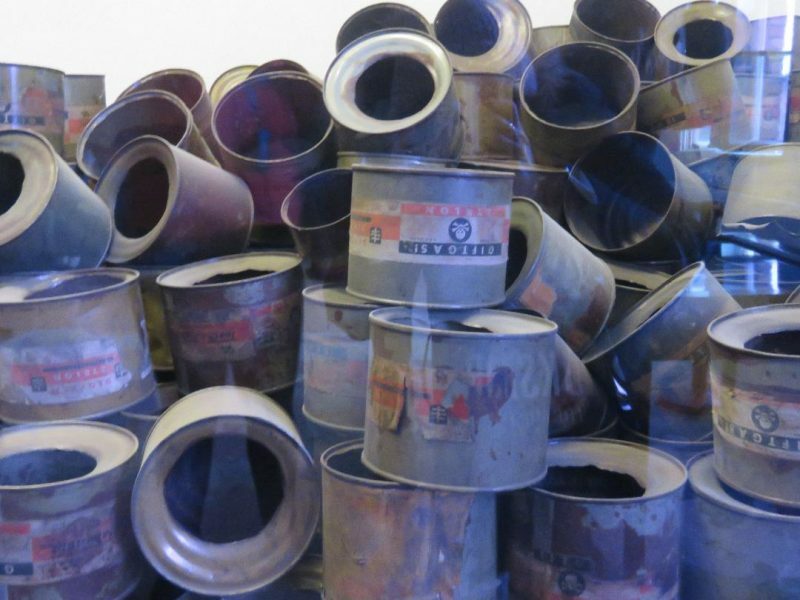 Empty cannisters of Zyklon B, used to murder the victims who were then taken to the ovens. 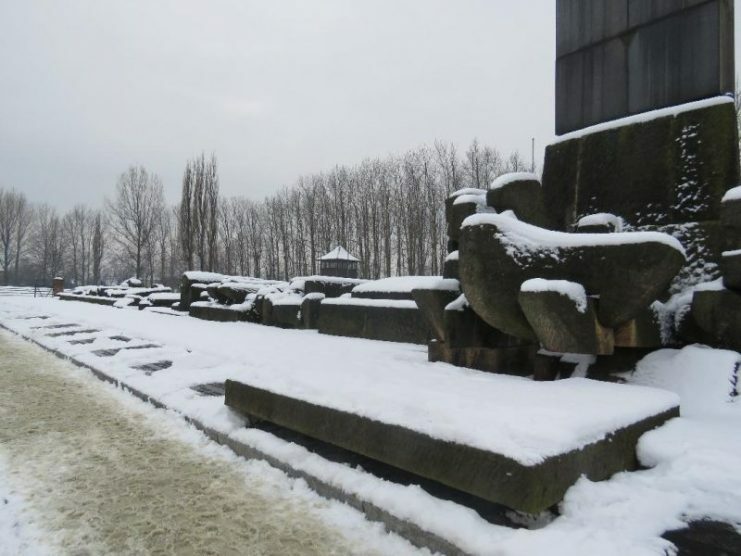 The ashes were then thrown, unceremoniously into the Vistula river leaving no traces. Some were frightened, some bewildered, others maybe even hopeful. 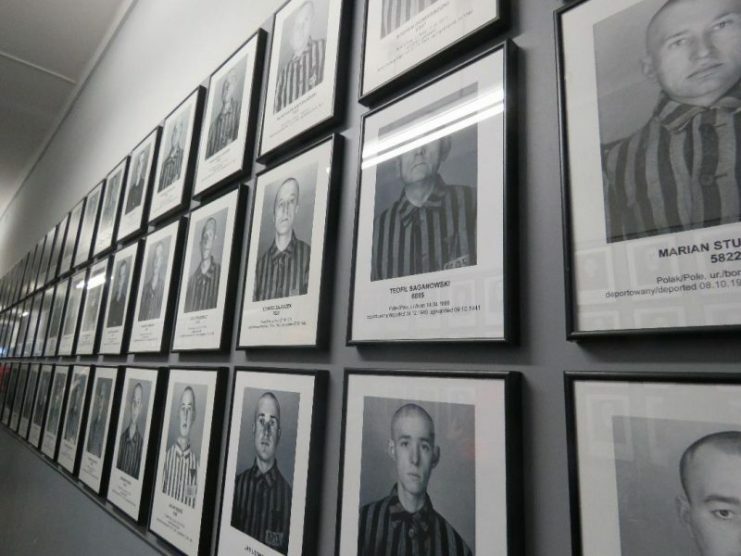 Many of these poor souls were to lose their lives and those who survived would be changed forever. It was the small things that shocked me. A toddler’s slipper, a prosthetic leg, maybe from a casualty of the First World War who had fought so bravely for his beloved Germany. A shabby suitcase, carefully labeled with name and address in hope of new beginnings. A long plait, cut from the head of some terrified victim—someone’s daughter, mother, grandmother or lover. 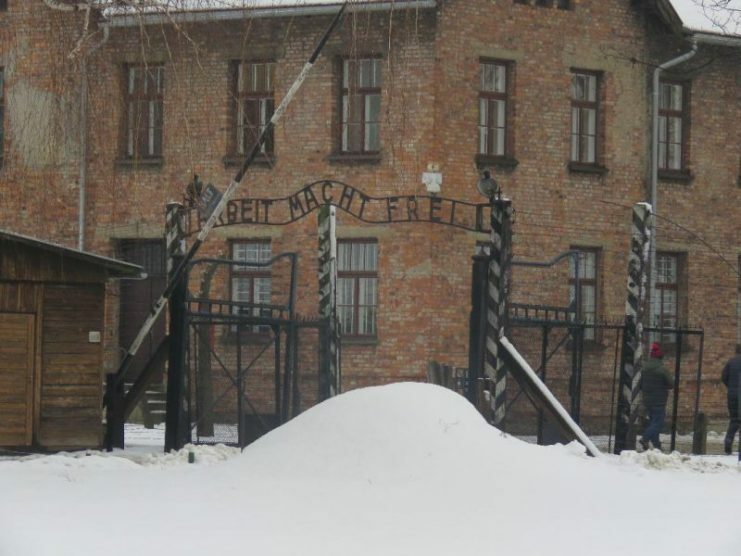 Cold, foreboding entrance to Auschwitz. Three little words. 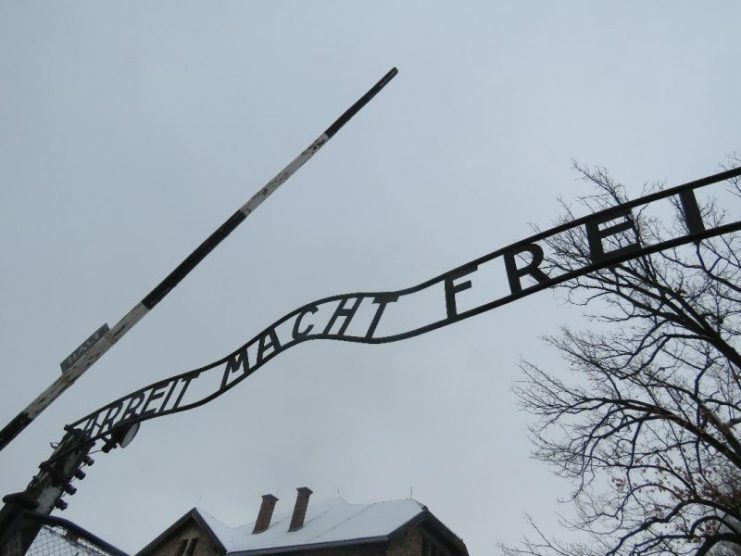 Arbeit macht frei. Carefully braided that morning only to be cut off roughly and thrown on the pile of other human hair. 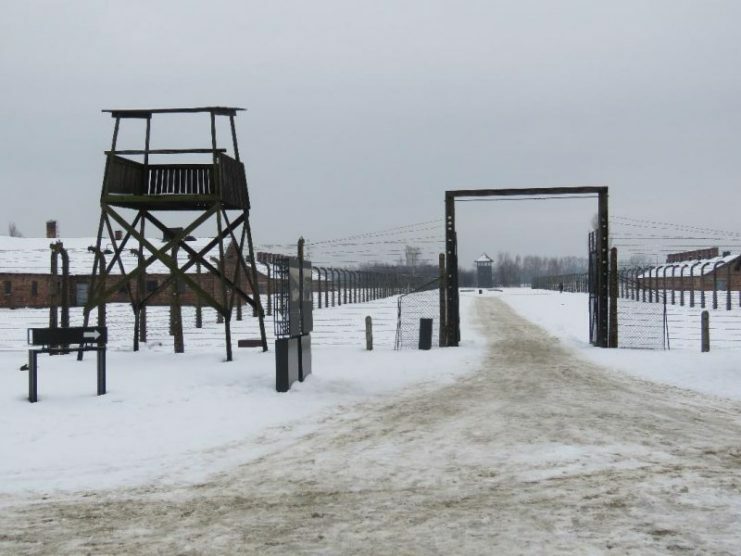 The used canisters of Zyklon B, utilized as an efficent method to massacre large groups of people who had been forced into these concrete chambers. 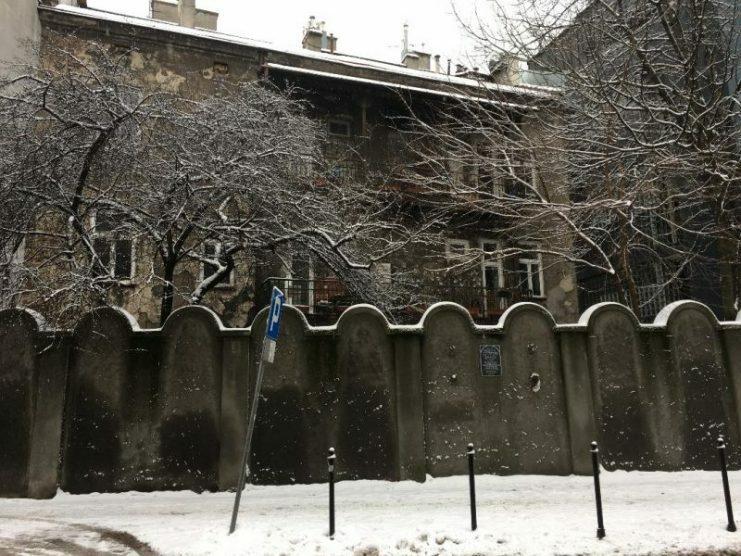 A fragment of the ghetto wall in Podgorze on the outskirts of Krakow. 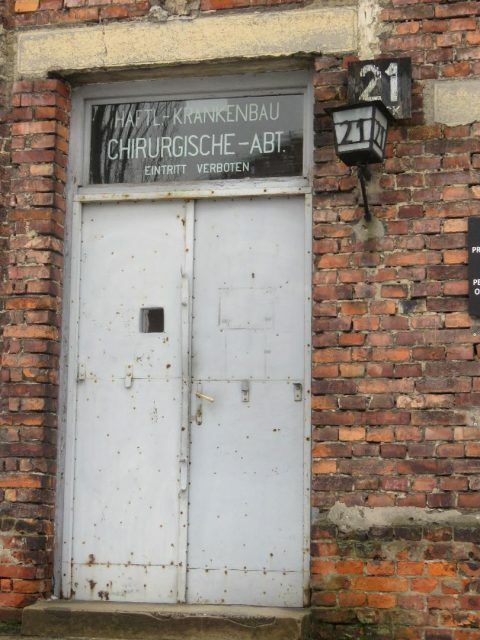 Passing by the laboratory and dissecting room my thoughts turned to the actions of the sadistic Dr. Mengele who was fascinated by twins and carried out the cruelest of experiments on them. Having twin sisters myself, this struck a nerve and I quickly pushed this thought aside. 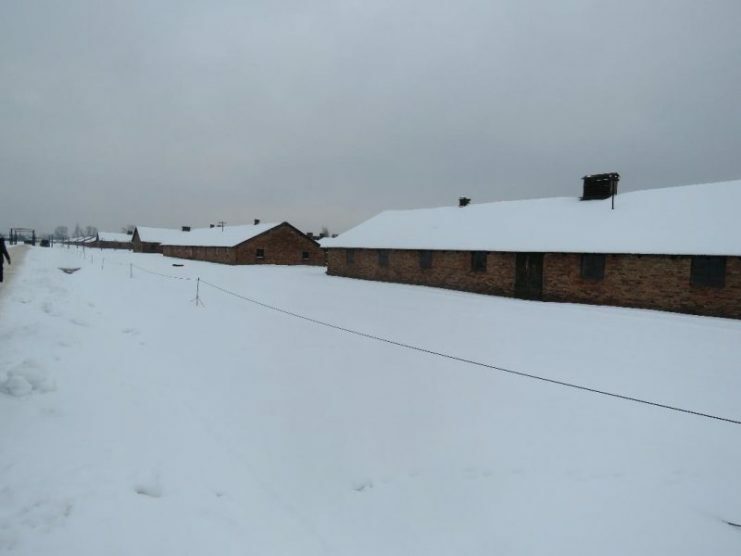 In the women’s camp I brushed my hand along the cold, stone bunks. 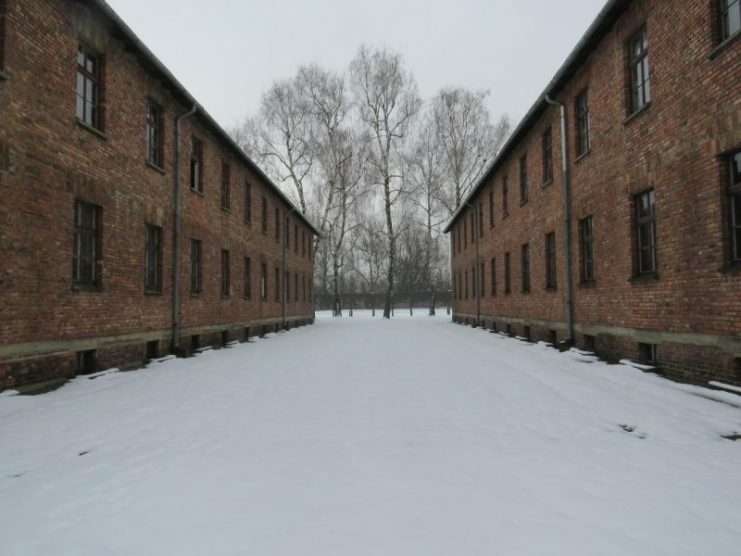 I thought about the women who were forced to sleep here, huddled together for warmth with no water or sanitation. My thoughts turned to my own grown-up daughter and I contemplated how I’d feel if she was lying next to me, confused, frozen and starving. A mother’s natural instinct to nurture and protect is at once futile and hopeless. Turning a corner I came across a long wall of faces that made the atrocities committed here all too real: a Polish doctor, a Hungarian teacher and a German shopkeeper. Faces of real people, once smiling and happy, now empty with staring eyes and hollow faces. 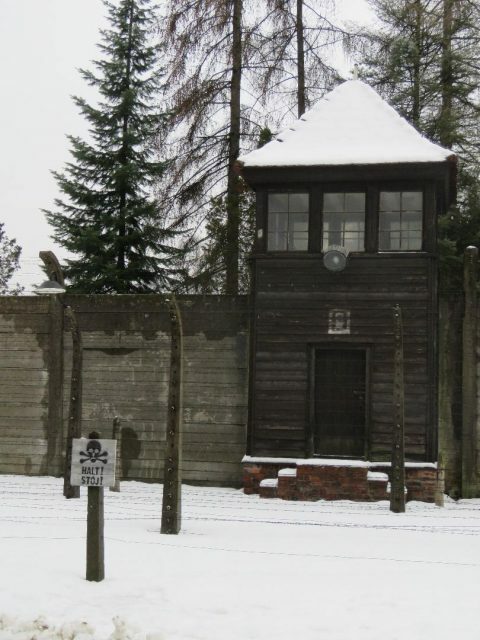 The miles of electric fencing surrounded by watchtowers, upon which people would throw themselves as a quick and final relief to their suffering. 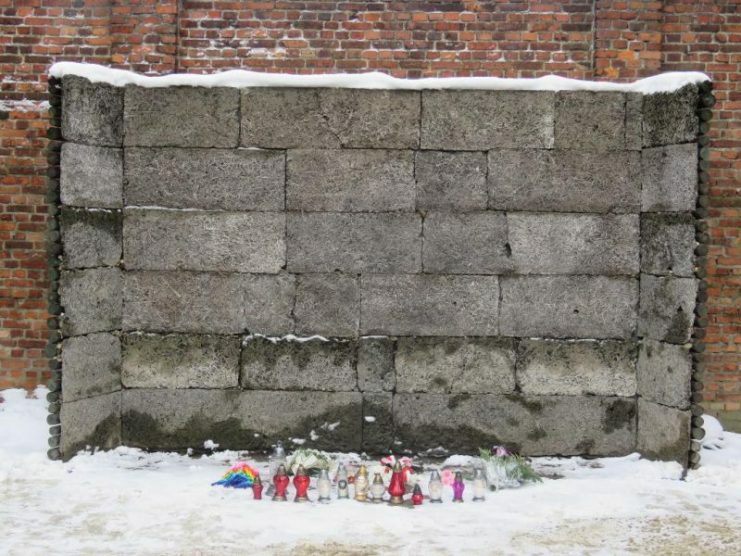 There is the death wall, where terror-stricken victims were shot. 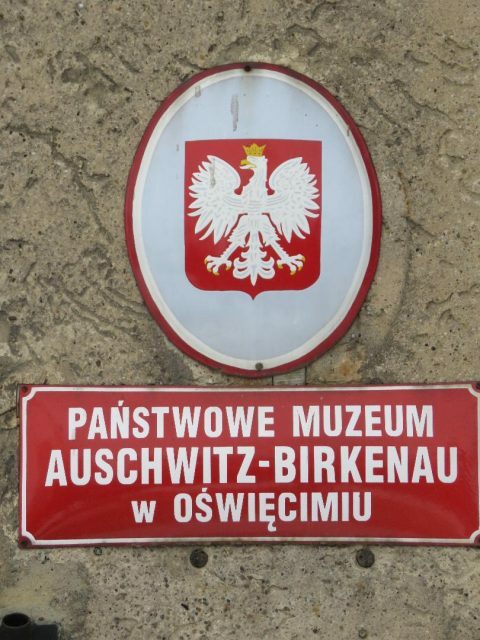 Their bodies were burnt in huge ovens and the ashes callously thrown into the river Vistula, leaving no trace of them. 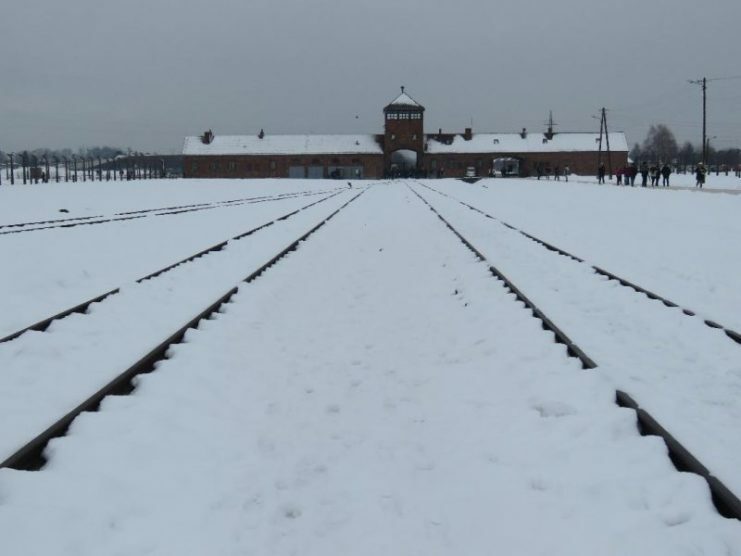 Auschwitz-Birkenau is a dreadful place. Proof of man’s inhumanity to man and that the human race is capable of horrific barbarity, and where the fragility of human life is all too apparent. 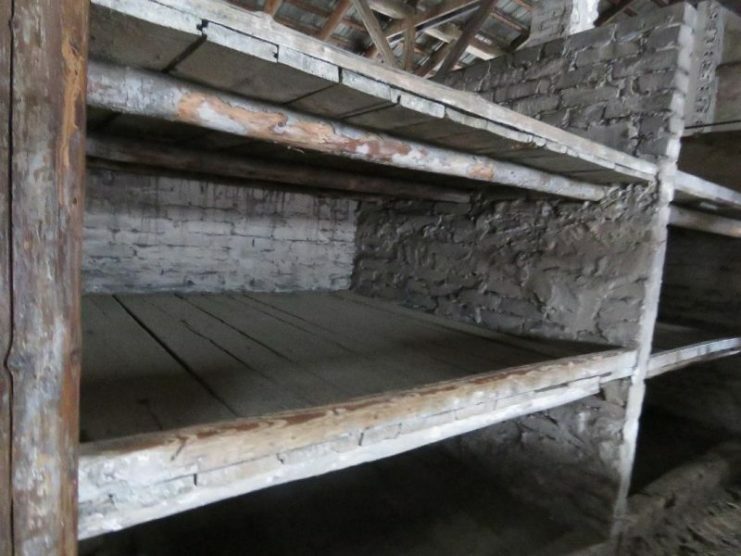 Bunks in the womens’ quarters. 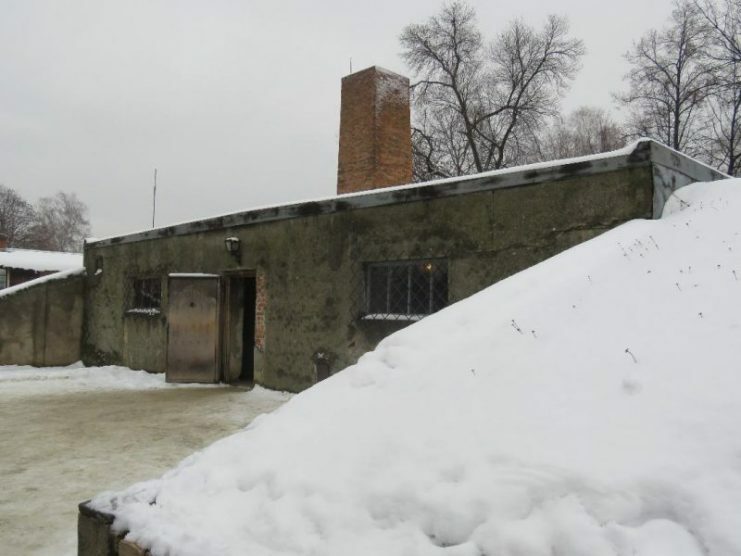 5 or 6 women had to squeeze into here, cold, bare and unsanitary. 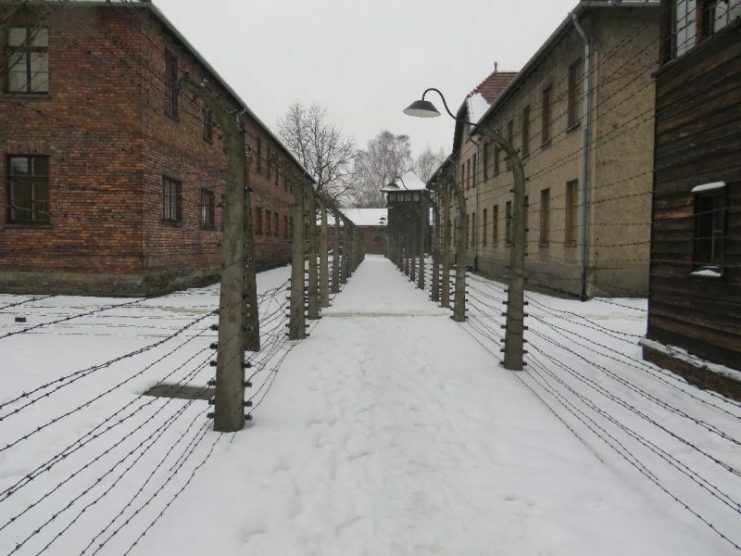 These areas of Krakow remind us of one of the darkest chapters of mankind. We must all stand up to racism, bigotry and hatred towards other people simply because of their ethnicity, religion or sexuality. 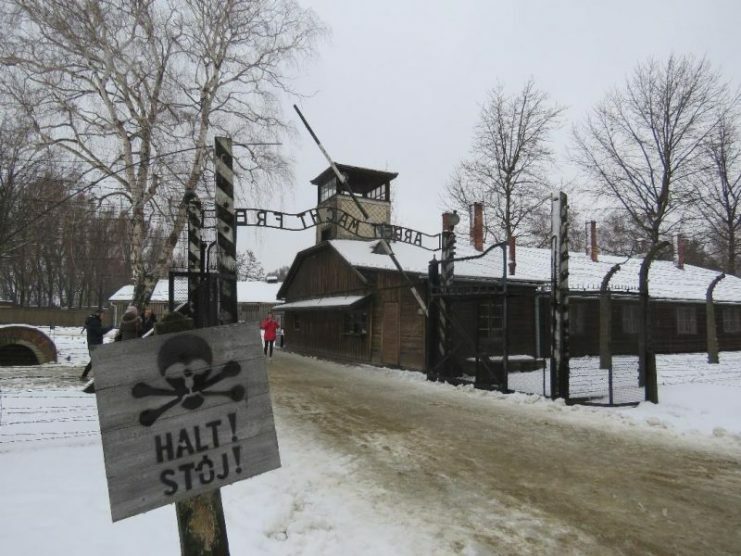 There is a book in the bookshop at Auschwitz entitled The More I Know, the Less I Understand. This sums up my feelings completely. 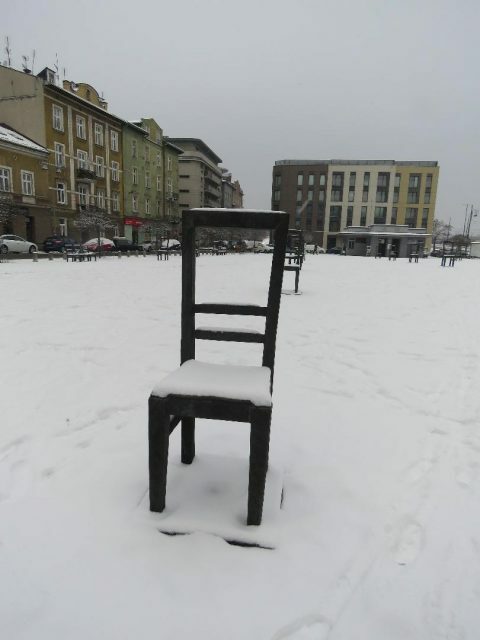 Empty chairs. 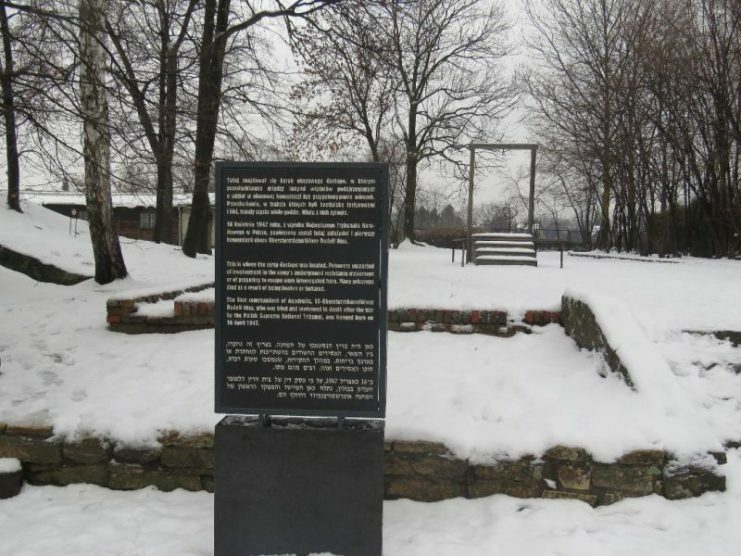 The ghetto heroes memorial at Podgorze, once the centre of the Jewish ghetto and now symbolising the tragedy of the Polish Jews. 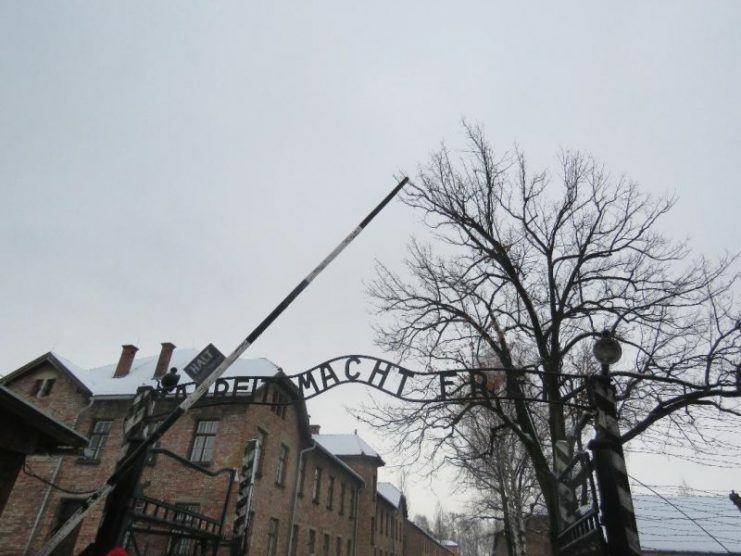 Entrance to one of the Crematoria. 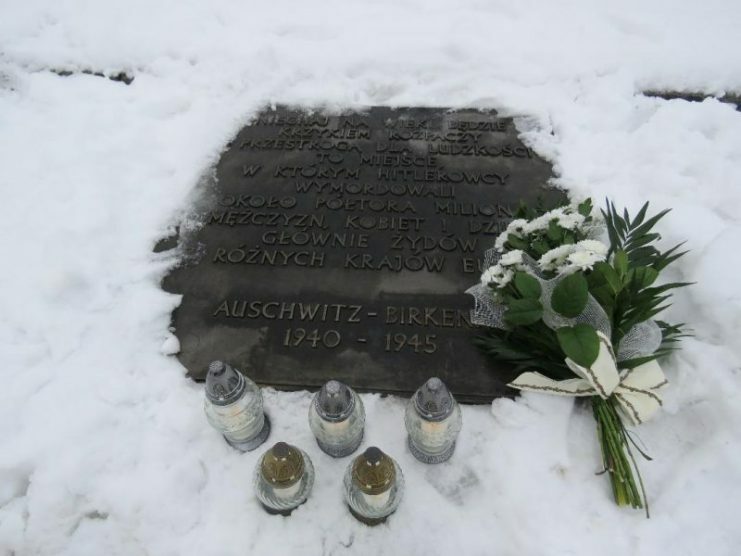 Fresh flowers and candles lie in the snow to commemorate the murdered at the Birkenau memorial. HALT ! STOJ ! 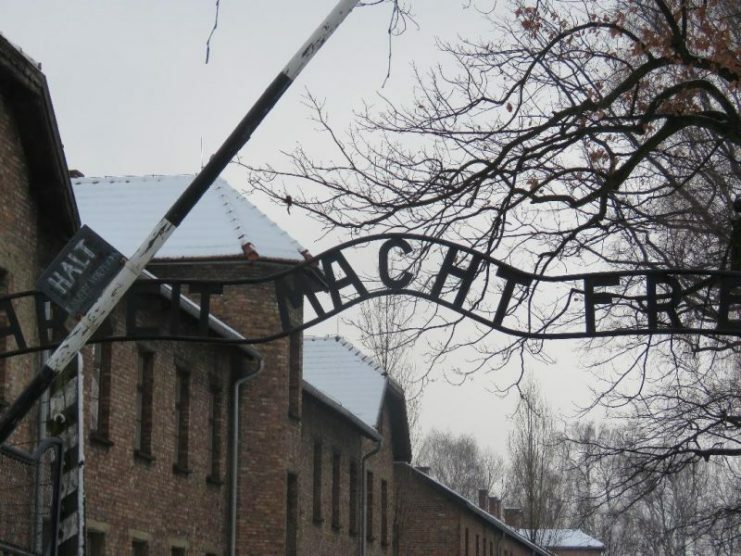 Sign just inside the entrance to Auschwitz. HALT ! 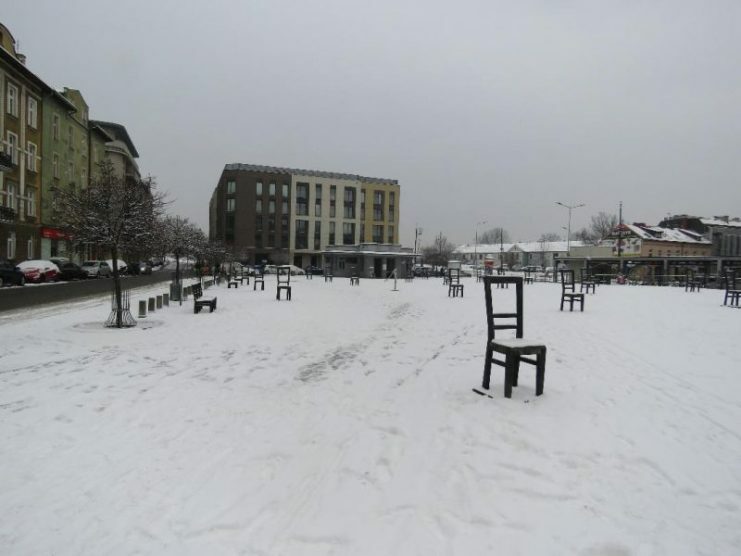 STOJ ! The warning before the former high voltage electric fence which would have brought instant death. 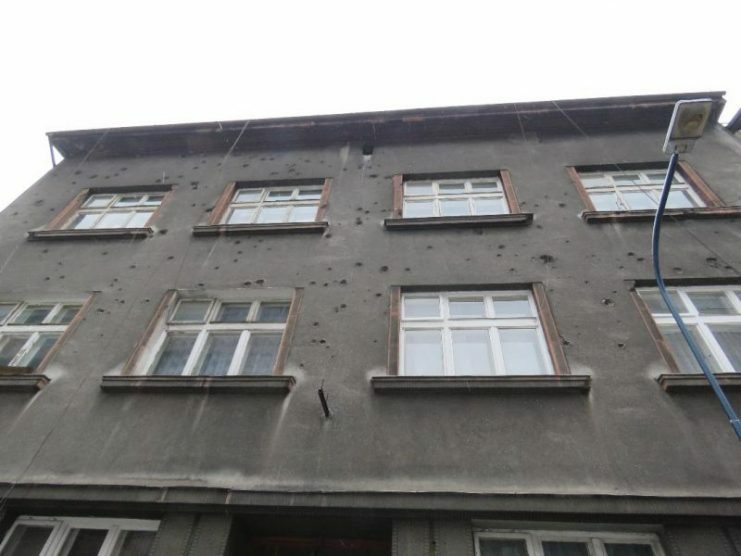 House in Krakow, which has been riddled with gunfire. 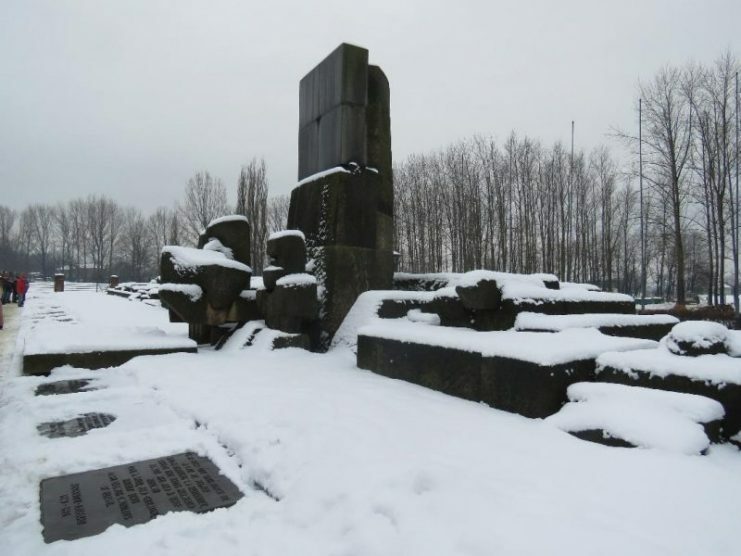 Memorial monument at the form death camp at Birkenau. 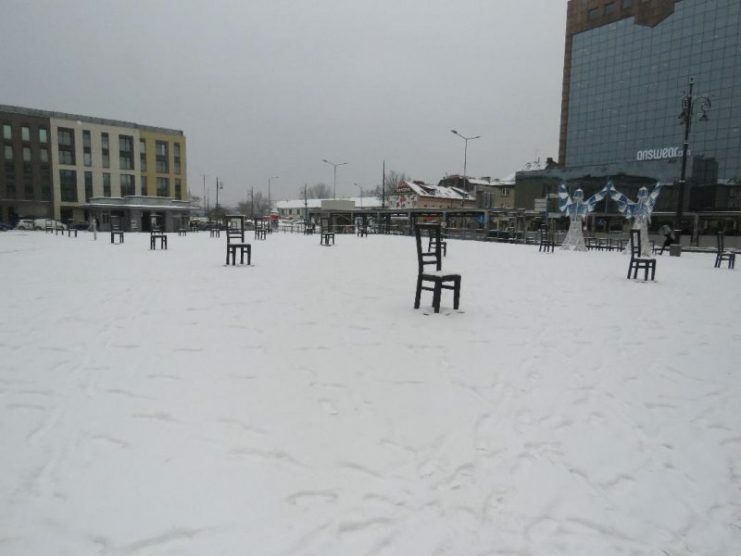 More of the Ghetto Heroes Square. 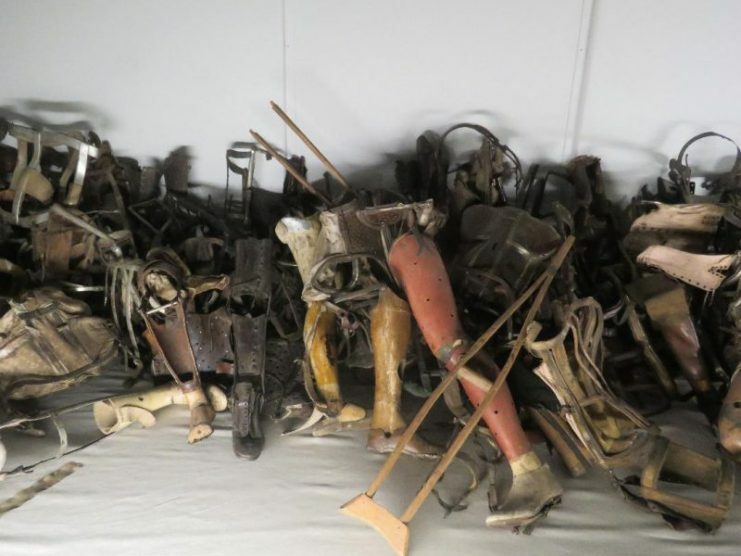 Prosthetic limbs taken from the murdered. Some of these will have been from men who fought for Germany in the First World War. Rows of what used to be high voltage electric wire. 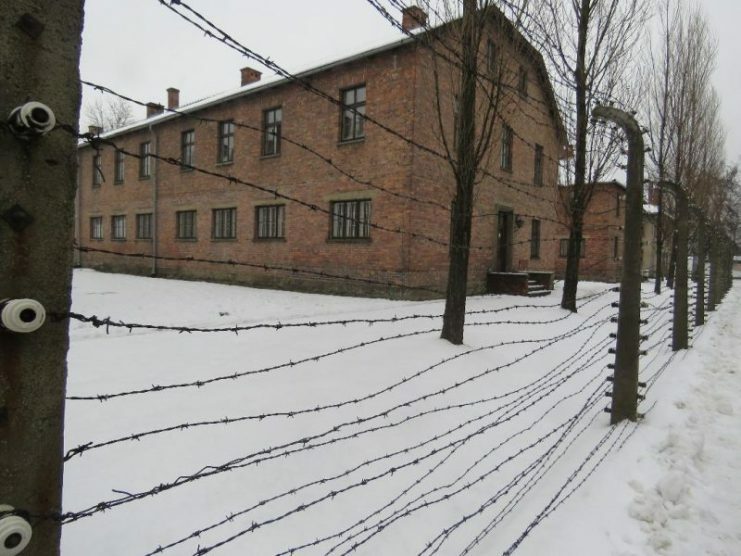 Inmates would sometimes throw themselves onto this wire as a sudden and final end to their torment and suffering. 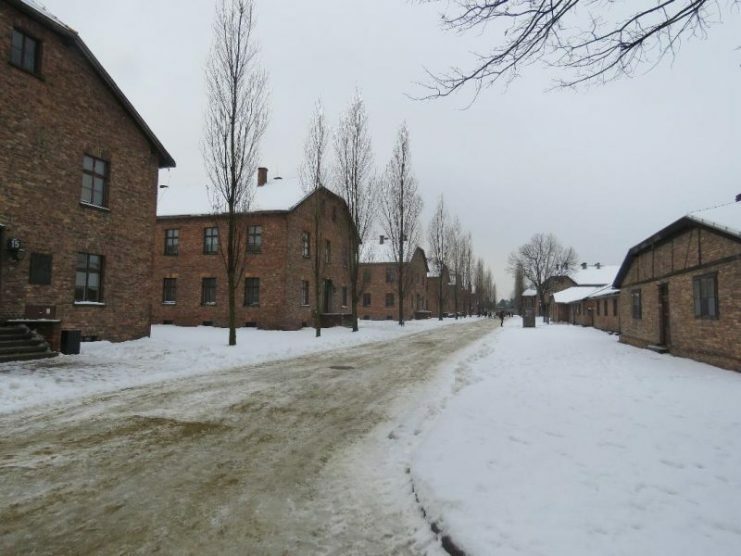 Some of the women’s blocks at Birkenau. 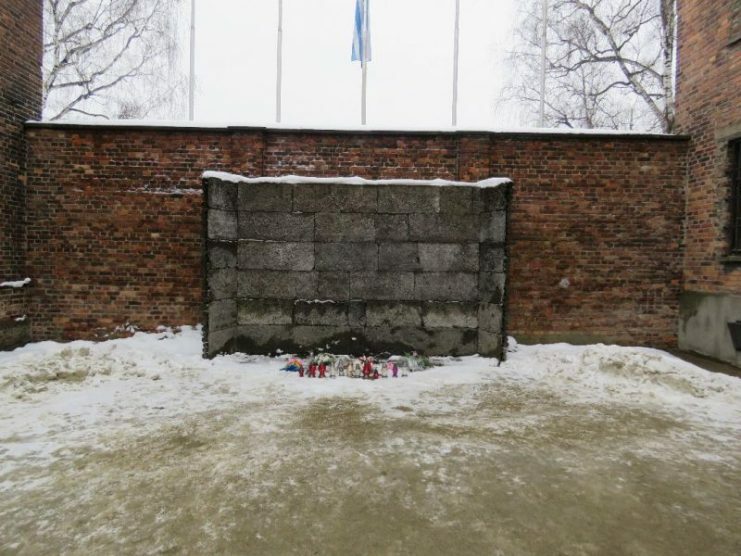 The 1st Commandant of Auschwitz, Rudolph Hoss was hanged here on April 16th 1947. The faces of the murdered. 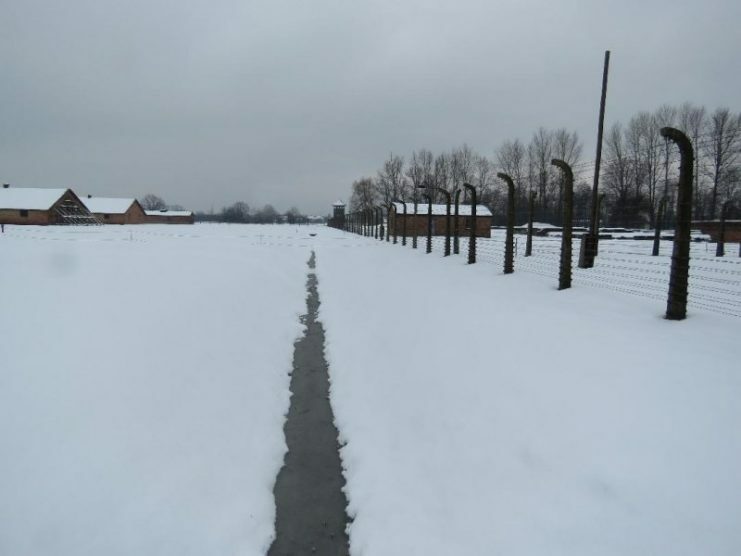 The saddest thing about Auschwitz. 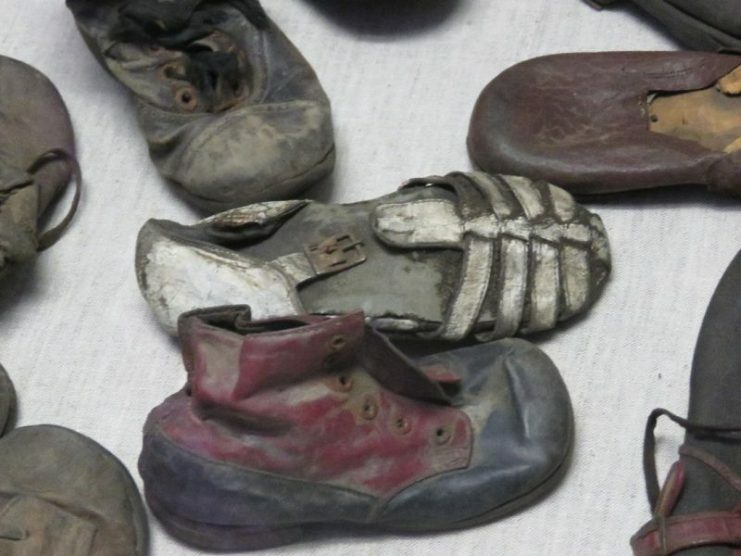 The children’s shoes. 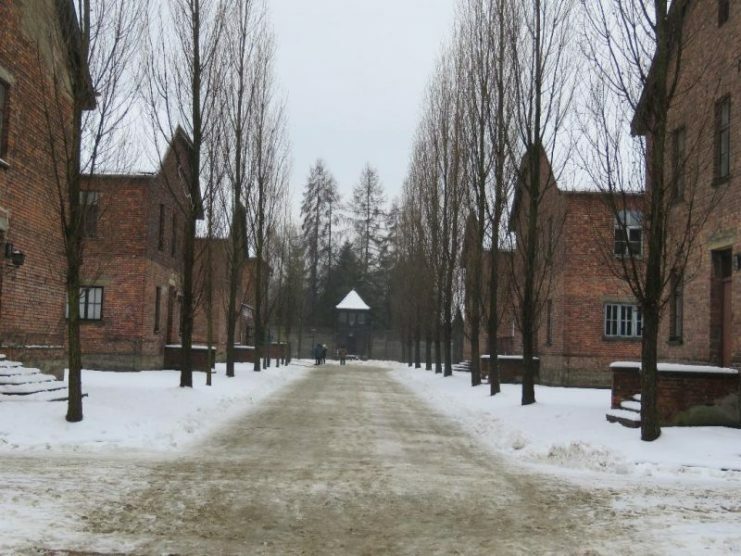 The Wall of death, where people were taken to be shot. 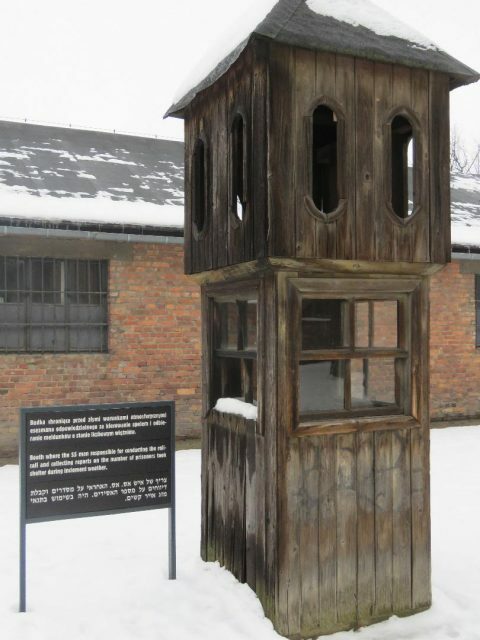 This booth was used by the SS during the lengthy roll calls when the weather was bad. 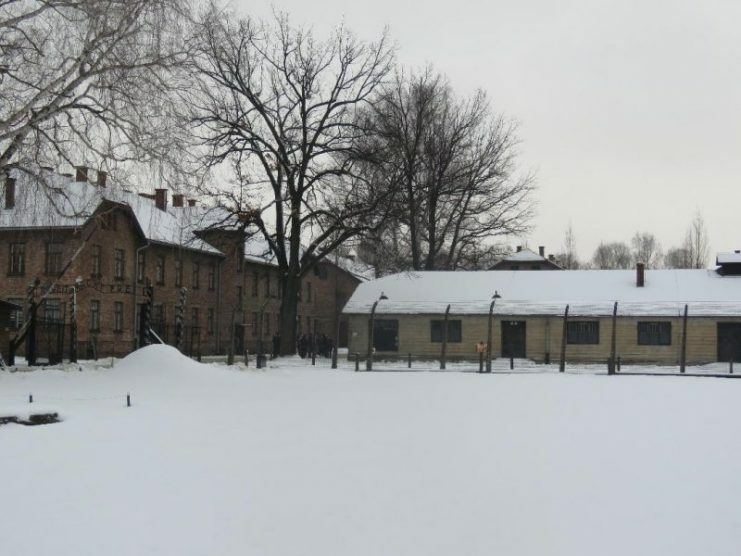 Inmates were often made to stand for many hours in the freezing cold. 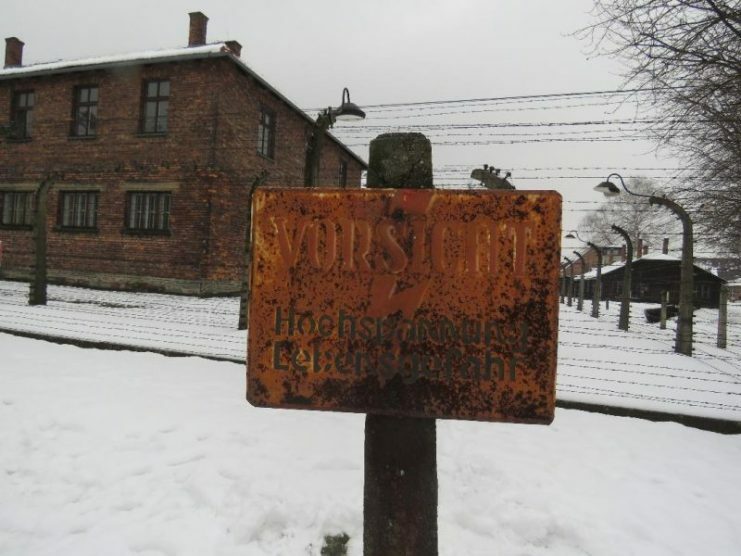 VORSICHT ! HOCHSPANNUNG ! LEBENSGEFAHR !